A cursor is a visual indicator that is always positioned on top of the desktop and which follows the current position of the mouse. 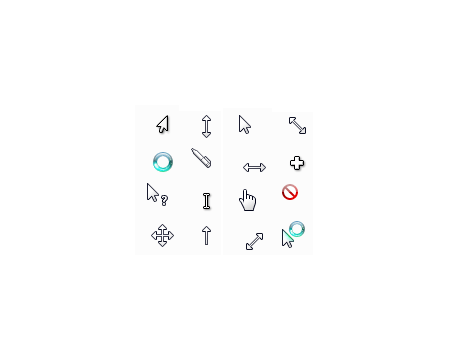 Cursors are often used to indicate the possible effect of a mouse button click for a specific window area (widget). The cursor shape is defined by a cursor pixel map, that is a two dimensional array, holding black, white, transparent and inverted values. NOV supports wide range of Native and Built in cursor widgets with the option of custom cursor widget as well.